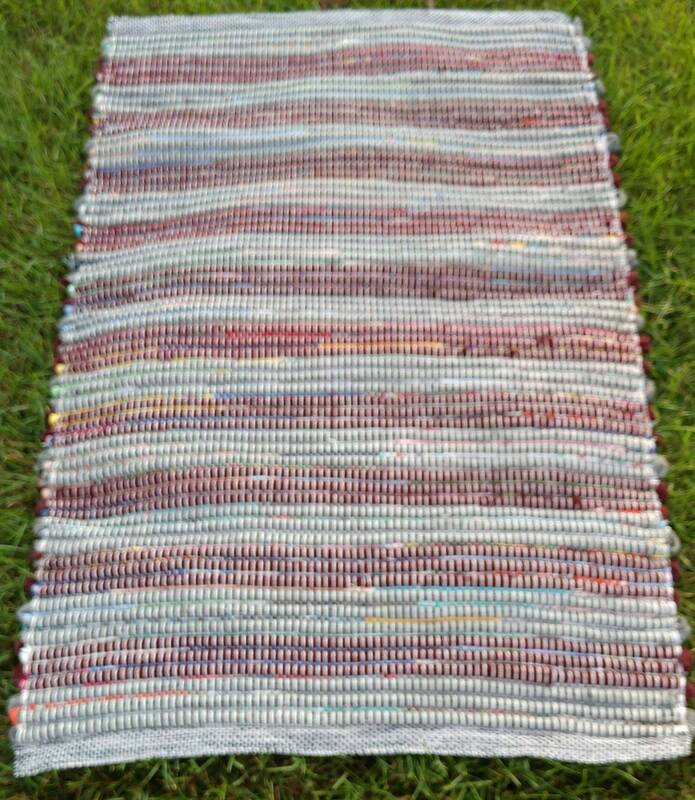 This rug is reminiscent of the old rag rugs your grandparents had at the cottage or in the farm kitchen. But is has a little ZING with the colors! 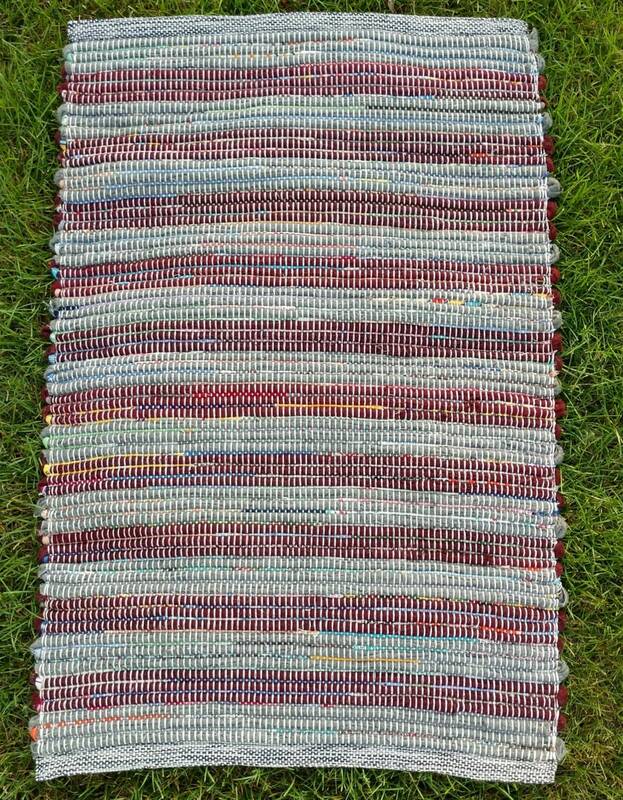 Rustic woven fabric rug has a very interesting design with heavy wool fabric, woven in a pleasing pattern of wool stripes in a basket weave pattern. 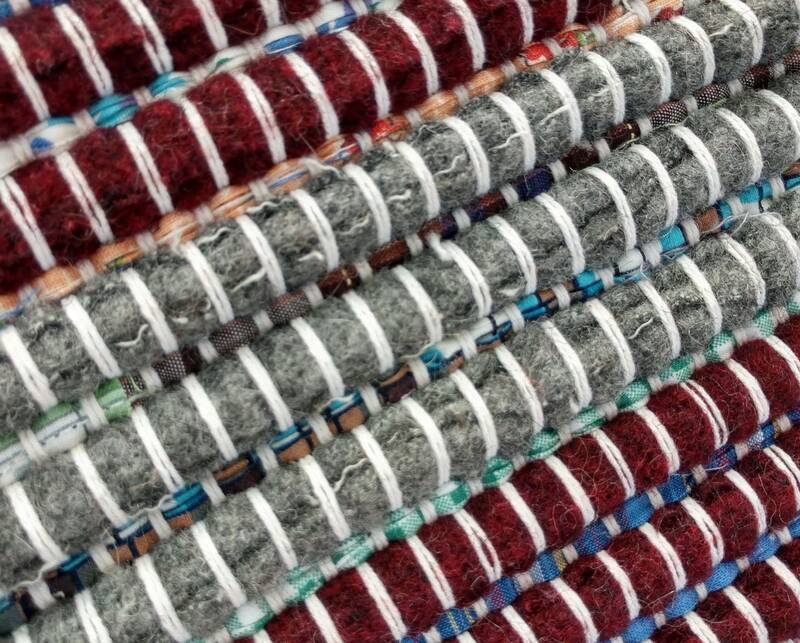 Accent strips of bright summery colors play among the rows of wool. 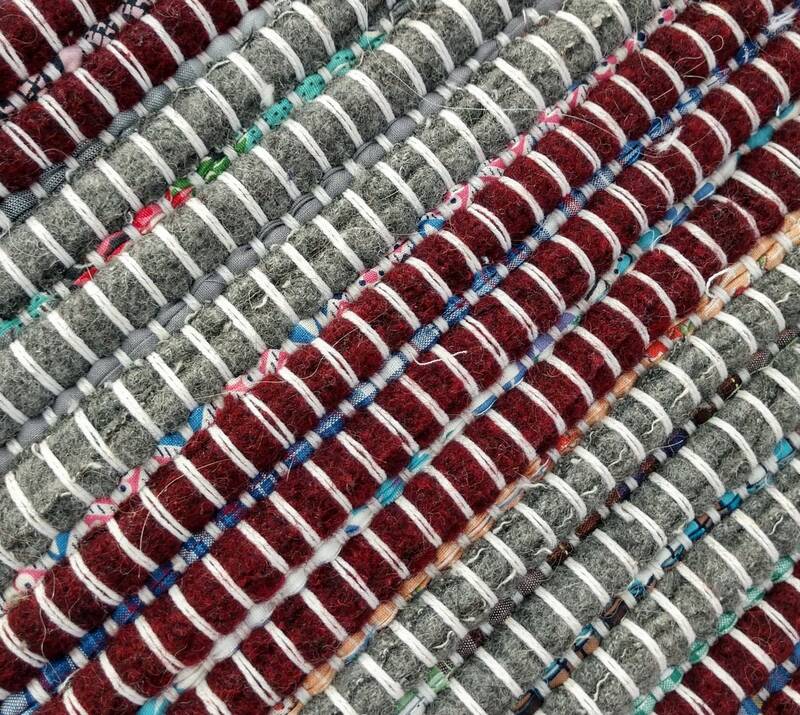 Colors of the wool fabric are soft grays and rich burgundy.... the bright thinner accent strips are cottons in multi colors. 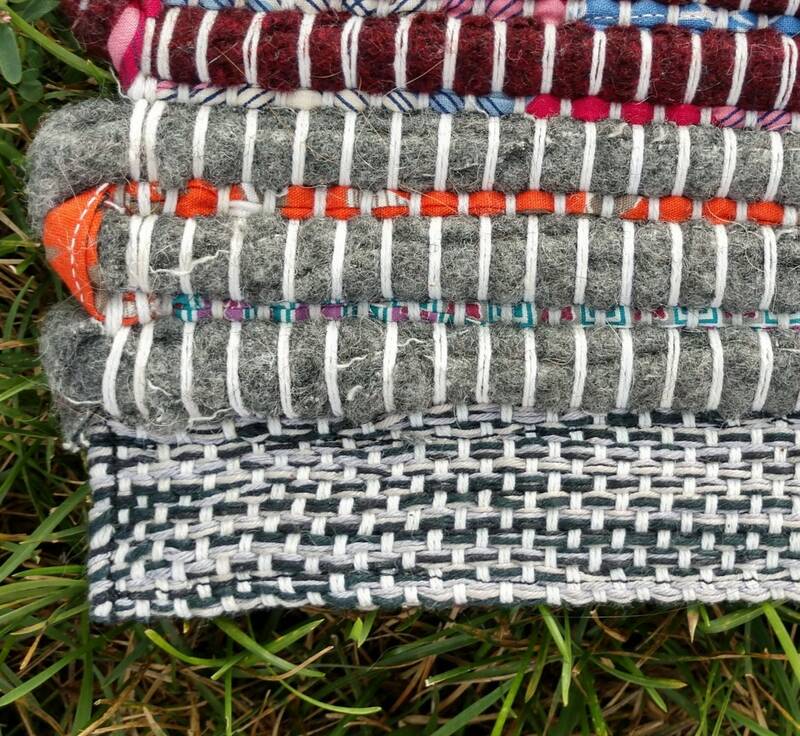 Triple layered folded hems are sewn securely on all four sides, not just across one seam like many other rag rugs. 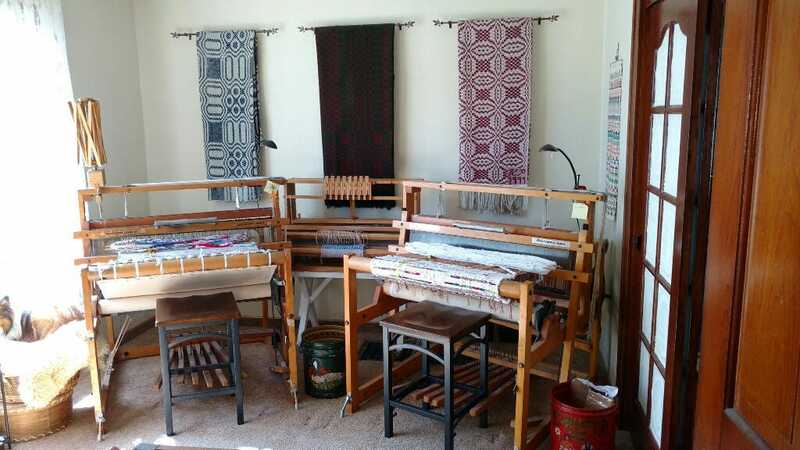 This method allows the hems to stay firm and flat and do not roll up. 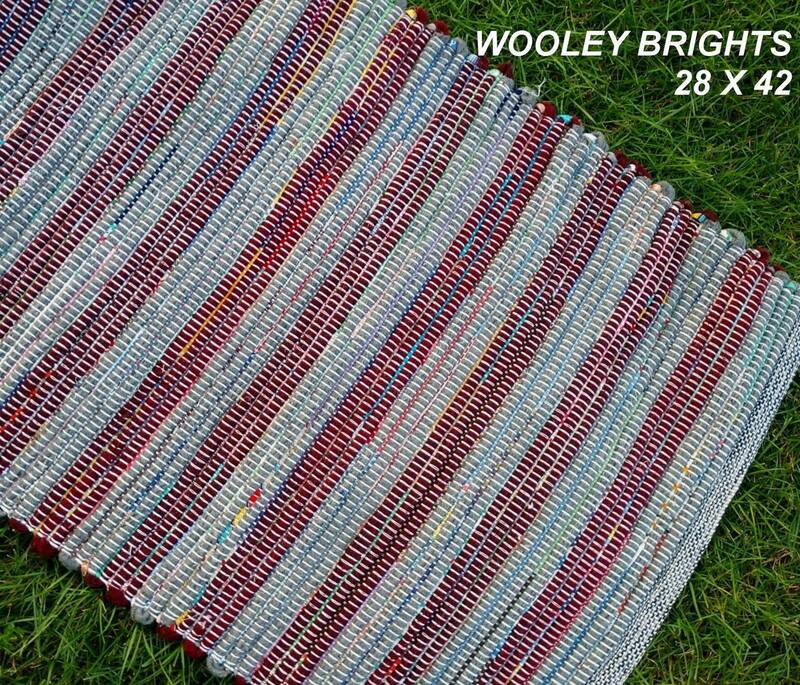 Strong well-woven rug with closely-set cotton\/poly warp threads. 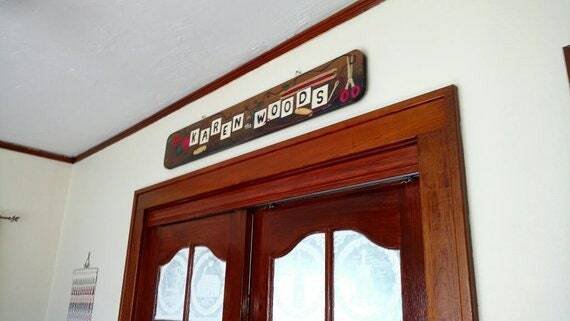 Washes well in gentle cycle and hang over porch railing or bathtub to dry.